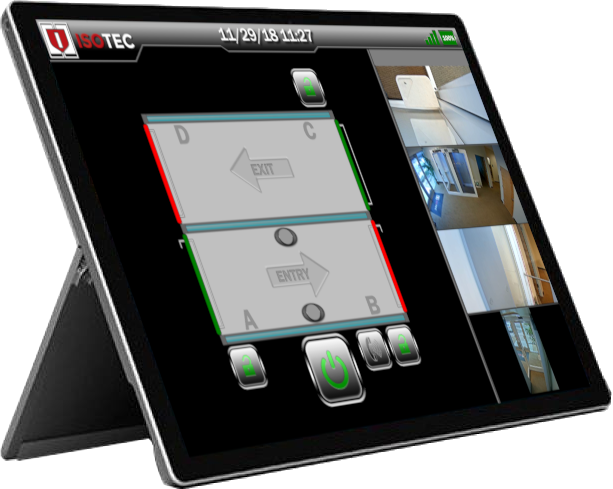 Isotec’s Synergy tablet offers the best of both worlds; Ethernet connectivity or wireless. The choice is yours. The Synergy tablets now control the ladder logic that runs our Safety Entrances® and Access Control Entrances. The encrypted tablets can be Ethernet wired for highest possible security. Isotec engineers have taken our base operating system a step further and developed our Access Control Electronics (ACE) package that can repair old security vestibules as well. The standard features for our Synergy IQ electronics repair includes either the Elegant Desktop or Rugged Rover tablets (or Both! ), one IP Intercom, one IP camera, voice prompts, and the requisite electronics and hardware required as determined by the operational condition of the existing vestibule. To learn more about Synergy IQ and the ACE Security Operating System call Isotec at 303.974.7699 or contact Matt Samels at msamels@isotecinc.com today! Isotec provides certified installers and technicians for installation and support services. The price for ACE does not include in-depth installation support or technical support services related to hardware issues. Isotec requires that only factory trained, tested & certified technicians install the ACE operating system to repair older brand named security vestibules. Isotec’s Sophisticated Software Algorithms are based on years of experience with high-security facilities. Custom algorithms, special features, and other sensors can be integrated on request. Isotec programmers can also re-configure the standard ACE Scenario of Operation to meet specific functionality requirements. 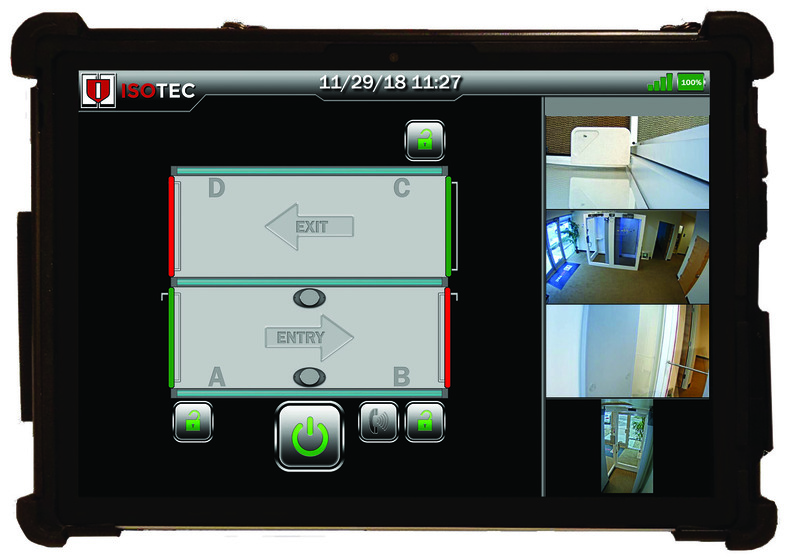 Depending on the security requisites and desired entrance functionality, the ACE operating system can be configured as Ethernet wired for connectivity or wireless. Either configuration is capable of remote diagnostics to reduce technician services and support cost. To learn more about our ACE Security Operating System, and Synergy IQ call Isotec at 303.974.7699 or contact Matt Samels at msamels@isotecinc.com today!